Chuck rehearses with one of Martha Stewart’s producers, Barbara Fight. UPDATE: The Martha Stewart show website promises an online video of Chuck’s Maloof Inspired Rocker segment within the next few days. CLICK HERE to see if it’s available yet. Charles Brock of Maloof Inspired Rocking Chair fame heads to New York this week to appear on the Martha Stewart Show. Chuck sent a newsletter this week telling friends and fans of his upcoming appearance. Since he has a self-professed “face for radio”, he admits it will be quite an adventure. 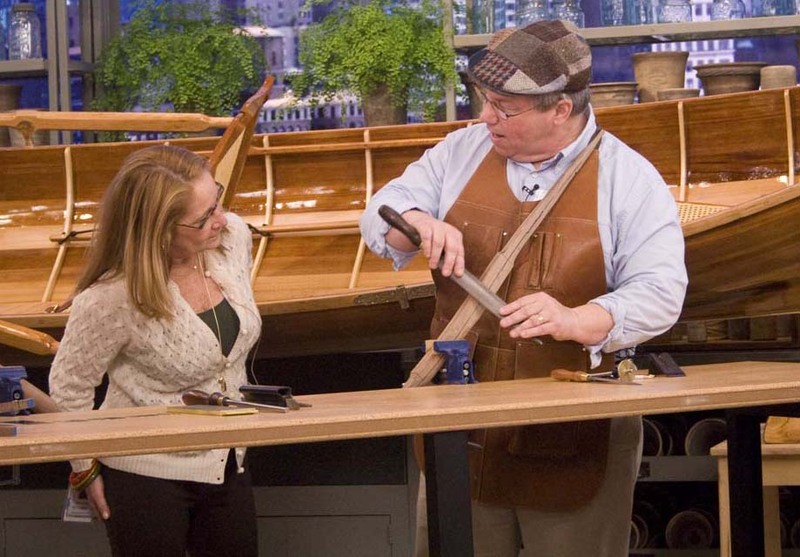 One of his students from the New York area (who happens to be Martha’s brother Eric) is coming to help him demonstrate shaping, and they plan to carve a spindle on the show. If you have ever watched Martha Stewart, then you know she will be right in the middle of it all and the entire show is all woodworking. The segment will be shot on the 19th in New York City and it will be broadcast on January 21st at 10 am and 2 pm and again on January 24th at 1pm, all on the Hallmark channel. Should be fun to watch and I know Chuck will be full of stories when he gets home. Can’t wait to hear how it went. Watch the show and you will see what an amazing kit Chuck has produced. 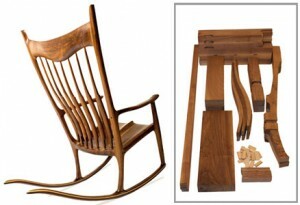 You can buy the DVD and instruction book, or buy the kit with all the pieces ready for you to make your own rocking chair. Looks like I will have to try and find the segment online, looks like I just missed it! That’s a nice rocker, I will have to give a shot at making one.